Calculator 2.0 is a revival that breaks away from the boring yet timeless self of its past into a minimal and modern design of today. 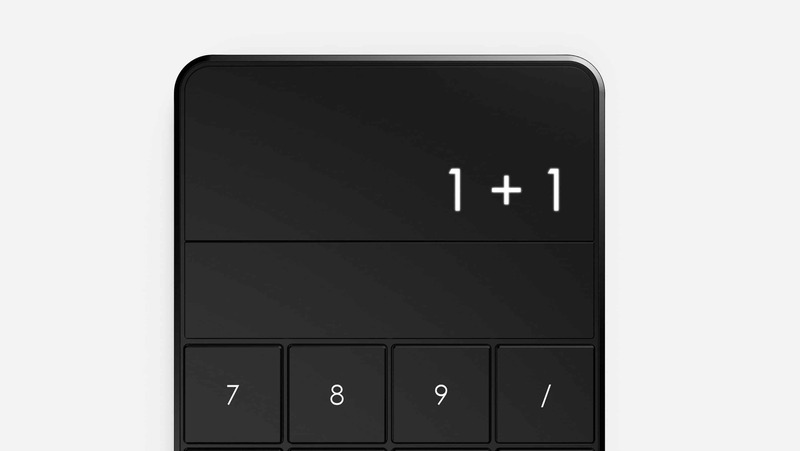 It features the basic functionalities of a simple calculator with stylish monochromatic aesthetics. 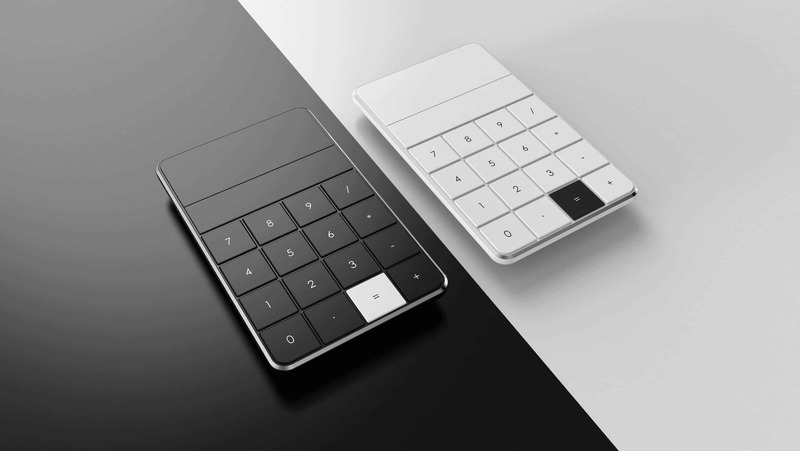 It comes in two variations including white and black with the equal key being of the opposite shade according to the main colour of the calculator. The Calculator features a hidden LED display with a smart strip below it, that detects finger motion to delete a step. 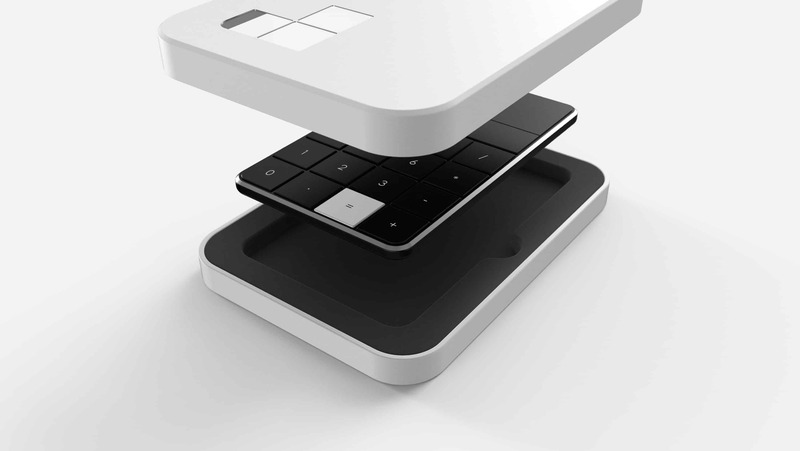 It is packaged inside a white box with three square cutouts that aligns perfectly with the 2, 0 and the decimal key. This itself becomes the branding for the box containing the Calculator “2.0”. Tangibility is a scarcity in today’s touchscreen world. Despite having calculators on our phones, the tactile satisfaction we get by pressing a button or turning a knob is still very humane. 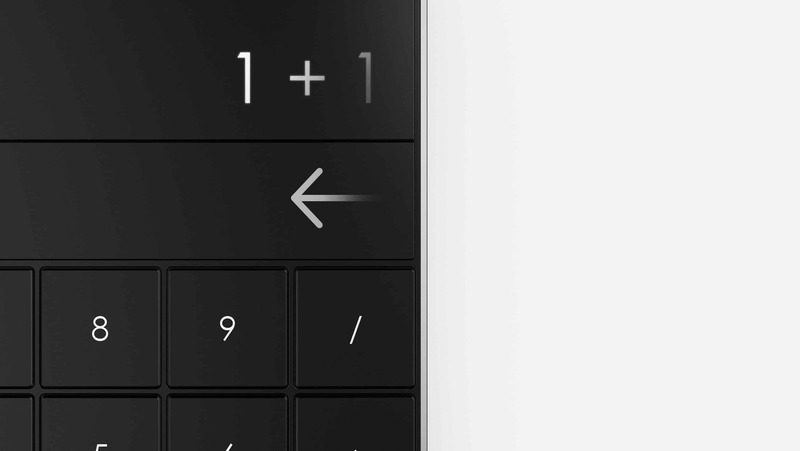 Keeping this in mind, Calculator 2.0 was designed to be a beautiful and minimal calculator that breaks away from boring traditional form. 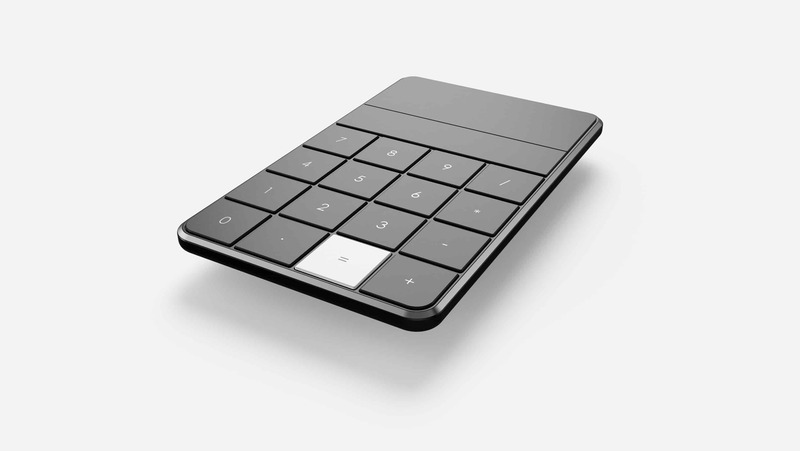 Calculator 2.0 has a monochrome vibe to it with black keys and screen with just the ‘=’ key in white, really highlighting the design in a beautiful way. Initial ideas were first scripted on paper, followed by rough 3D models on Solidworks. These models were further refined into a much detailed 3D concept. The visualisation of the modelling was done on Keyshot and the final post production was done on Photoshop. The response to this project was very unexpected, as people thought it wasn’t just a concept but already on shelves. It was also very well received on Behance, Instagram and other social media platforms. Such responses definitely motivated me to do similar projects and is very inspiring. So if you have any comments or suggestions, please don’t hesitate. As a designer, learning has to be in the alter ego. The outcome and response of this project was a lesson in itself. Hello! I’m an Industrial Designer living in India. I recently graduated with a masters degree at Institut Supérieur De Design Rubika in 2017 from India, Pune. During my college, I did 2 internships. the first one being in Germany with a medical design studio called Wild Design and the other being in London with a furniture design studio called Duffy London. I am currently working as a Freelance Designer in India and looking for an opportunity in Product Design Industry.